Dimmable drivers offer superior dimming and control to inexpensive low voltage PWM dimmers. They’re a permanent and elegant solution that keep your wires hidden away from view and your dimming control where you expect it - right at the switch. Our drivers - also known as dimmable power supplies or transformers - are compatible with a wide range of dimmer switches from top manufacturers such as Lutron and Leviton. 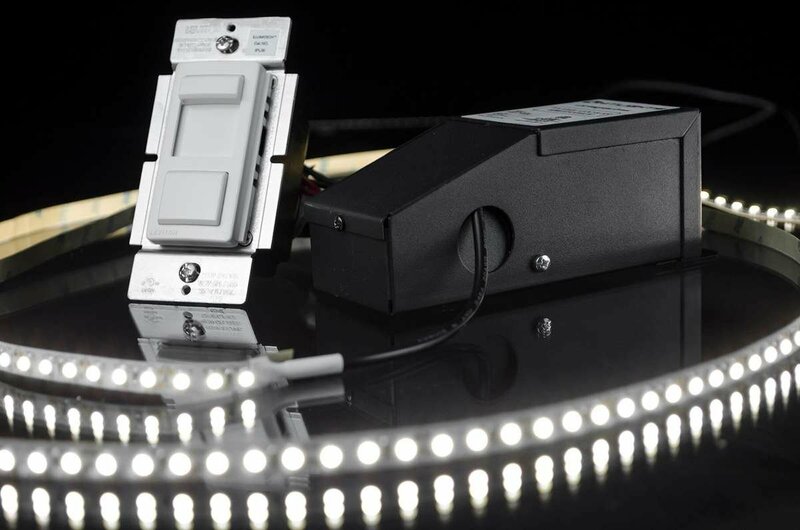 Use them with our LED light strips or with any other low voltage (12 Volt 24 Volt) products.